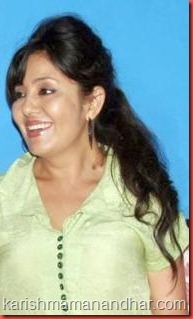 Karishma Manandhar’s upcoming movie “Maya’s Bar” is releasing on July 27, 2012 in theaters in Kathmandu and it will be relerased in theaters out of Kathmandu on the following week. The movie by director Dinesh DC features Karishma and Nisha Adhikari in the role of dance bar girls. The movie got a lot of media attention because of excessive production cost. It is to be seen if it gets similar attention from the viewers when it releases tomorrow. We will update this post with the reviews of the movie.